If you previously registered with our Support Forums, log in with that username. This will link your Outlook install to this account. Posted by brad at 8:24 am on June 23rd, 2009. Last week we rolled out a preview of ClearContext Online. This week I’ll spend some time introducing you to our new features. First things first – take the tour! For an example, view averages for all ClearContext Users. For an example, see this comparison of our CEOs email performance to the average ClearContext user. After sign up, this page shows additional groups for comparison. 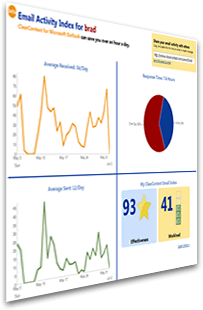 Evaluate the average effectiveness and workload for all ClearContext users. After registration, use this page to compare your scorecard against individuals or groups. If you’re ready to get started, download and install ClearContext and click Compare your stats online on the Scorecard. Posted by brad at 3:51 pm on June 22nd, 2009. 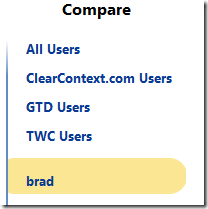 Try the ClearContext Online Beta! 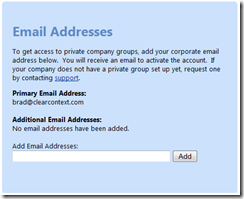 The average ClearContext user receives about 500 emails per week. 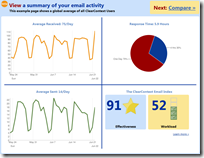 How does your email activity compare to those users, your friends, and people at your company? 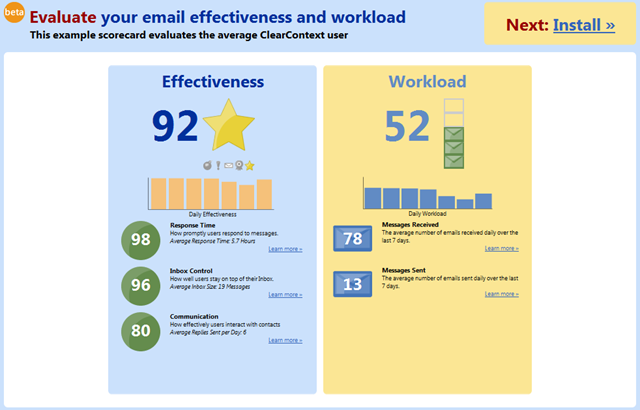 ClearContext users reply to emails on average within about 6 hours. How does your email responsiveness compare? Most ClearContext users send 100 messages per week and keep their inbox at under 25 messages. How effective are you at managing your email, and what steps can you take to improve your effectiveness? Today we’re excited to give you a way to answer those questions as we open up beta availability of ClearContext Online to everyone! ClearContext Online is a companion service to both our free Personal and paid Professional ClearContext for Outlook products. This site will provide a wide range of services to help you take better advantage of all the interactions and information that flow through your email within Microsoft Outlook. Evaluate and compare your email effectiveness – and soon get personalized tips on how to improve! 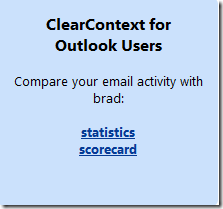 If you’re a ClearContext for Outlook user already, click the Compare your stats online link on the ClearContext Scorecard in Outlook to get started with ClearContext Online. 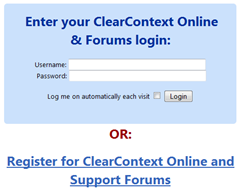 If it’s your first time, you’ll have to register and then click that link again to access ClearContext Online. 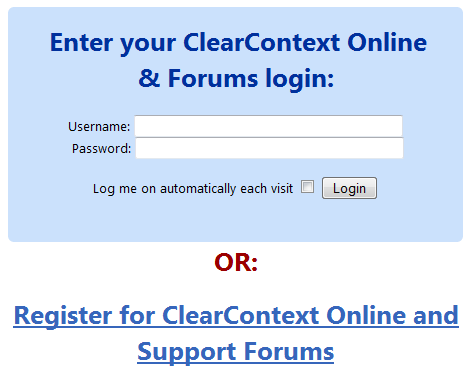 If you have already registered a support forum login, that login will work for ClearContext Online as well. 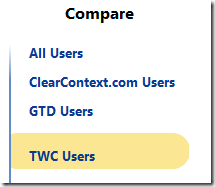 If you’re not a ClearContext user already, download ClearContext or take a tour of ClearContext Online. In the coming months, we’ll be writing a lot more about how we’re expanding ClearContext Online to help you make the most out of everything you do within email. Before we go into detail on that, though, our next big announcement will be something many of you have been waiting on for a long time – information on the next major release of ClearContext for Outlook. We’re working on a lot of exciting improvements that our users have been requesting, and can’t wait to share our plans with you. Stay tuned to the blog for a post on that later this month. Posted by brad at 11:47 pm on June 17th, 2009. Posted by brad at 3:14 pm on June 9th, 2009.